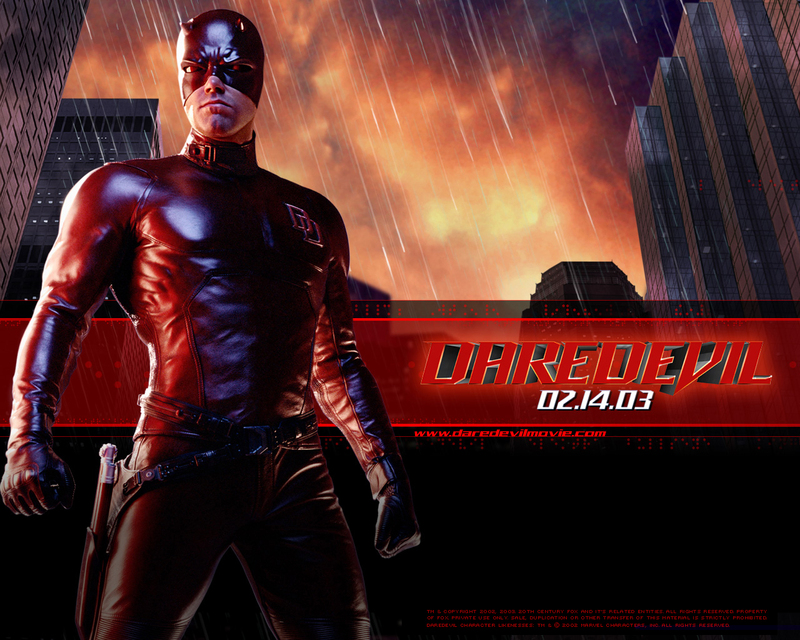 Check out my review of Daredevil (2003) for Natasha’s Marvelous Mondays series over at “Life of this city Girl”. Thanks for letting me contribute Nat! Happy Monday folks!! It’s that time again… another excellent Marvelous Mondays Post. Rob is reviewing Daredevil for us today. He has really been a great contributor to this blogathon, thanks Rob! I suggest you head over to his site and go look at his James Bond blogathon that is going down this December. Have fun and take part!! Brief Synopsis – A lawyer blinded as a kid, uses his other enhanced senses to find crime and clean up the city. My Take on it – I can definitely unferstand why Ben Affleck stated after making this movie that he was done ‘putting on the tights’.